Fall fruit is here! 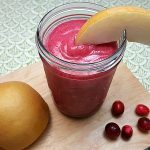 I look forward to fresh cranberries and Asian pears every year. 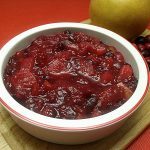 Of course, cranberries are delicious when made into cranberry sauce and crispy pears are so good to eat fresh. They are also tasty when they find their way onto my dinner table in other ways. 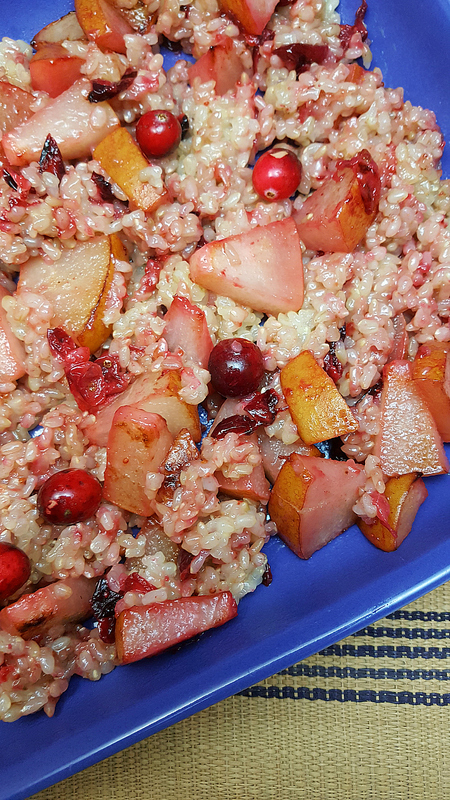 Cranberry Pear Fried Rice is sweet, savory, tart and satisfying. 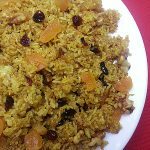 It works well with leftover rice or with rice that you have made specifically to use in this recipe. 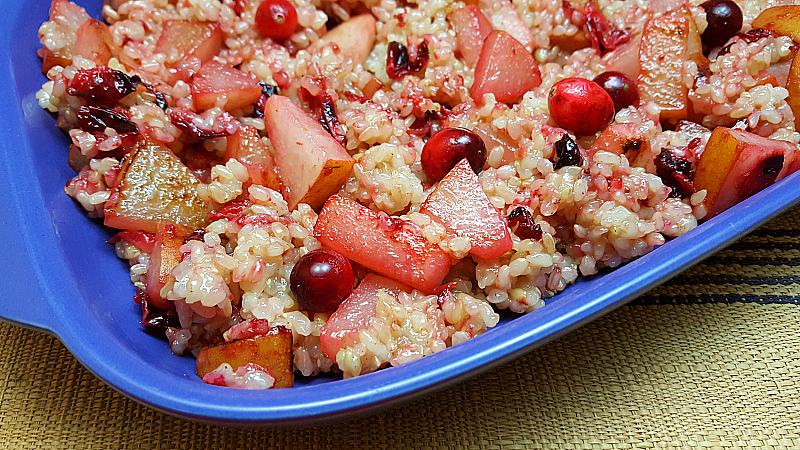 I love how the cranberries give the whole dish a pretty, pink tint. 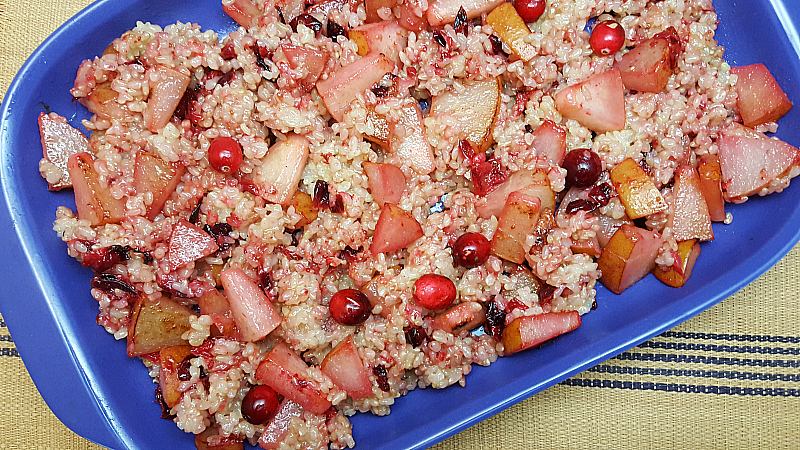 Note: Can use dried cranberries instead of fresh cranberries and honey. 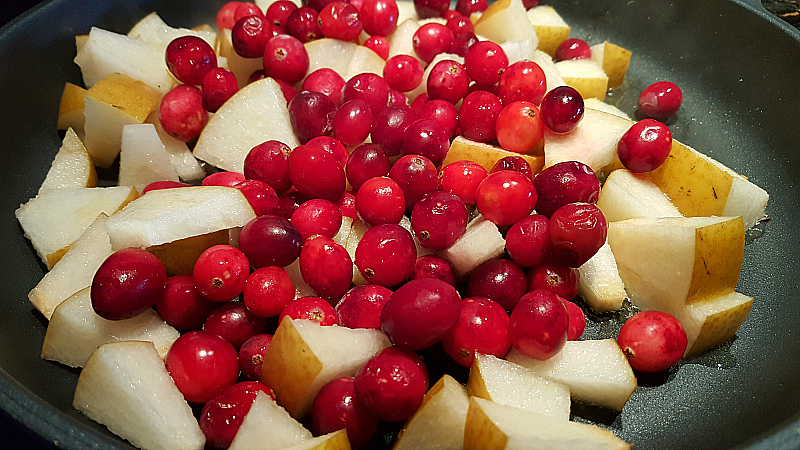 Add pear and cranberries. 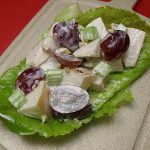 Cook until pear chunks are lightly browned. Add honey and salt and stir to evenly distribute. Stir in rice and cook for a few more minutes.